Project: This site was created to provide information to patients and potential patients about the benefits, information and research connected to professional counseling. 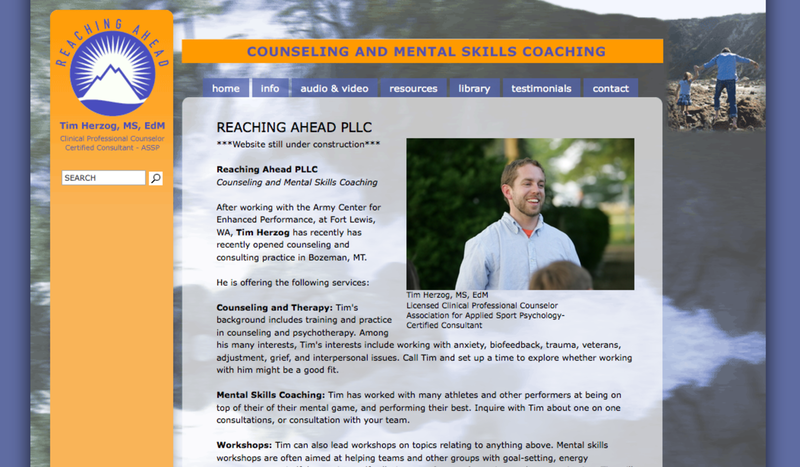 Summary:Counseling and Therapy: Tim's background includes training and practice in counseling and psychotherapy. Among his many interests, Tim's interests include working with anxiety, biofeedback, trauma, veterans, adjustment, grief, and interpersonal issues. Call Tim and set up a time to explore whether working with him might be a good fit.